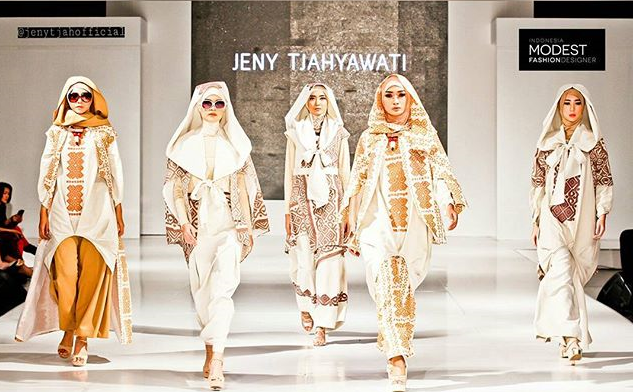 Does Exist in Islamic Countries Fashion Industry? Of course there is a fashion industry in these countries, and very important! 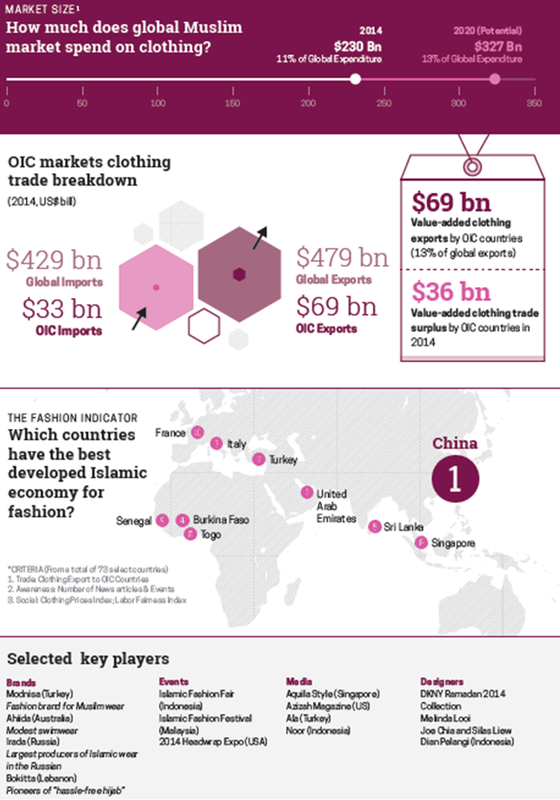 Bloomberg estimated that the Muslim fashion business invoice annually approximately 76,000 million euros. Is, in addition, the sector of the population with higher rate of young people: a 50% have less than twenty-five years. Istanbul celebrates, twice a year, its own fashion week which brings together a very varied audience ranging from the religious conservative social liberals. But if anything characterises the new trends is its versatility, which allows you to tailor new designs to the more conservative tastes. The most popular fashion brands include the following Essa, Bashar Assaf, Asudari not only operating in Dubai while also exported to Europe and the United States. In the Middle East, in the United Arab Emirates, in Dubai, there are many designers that even, create Collections capsules on the occasion of Ramadan. Dubai abaya is a traditional dress, a long, black robe that covers women from head to toe. This symbol of the modesty of women – with the white khundura men wear-, are now considered as part of the national dress of the UAE. For this reason, has begun to be drawn up in a lot of colors, cuts and new embroidery, becoming a symbol of not only cultural but also social. Madiyah al Sharqi designer just present an elegant line of dresses and tunics accesorizados with layers, perfect to be worn during this important celebration. 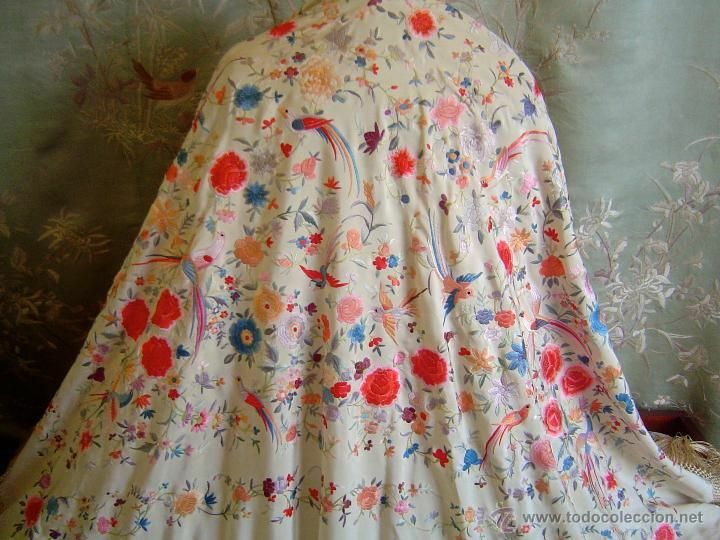 The garments have been made in shades of sherbet and cake in fabrics of crepe silk with very good fall. These robes are adorned with embroidered collars with delicate lace details, or with beads and beading, and some are accesorizan with elegant layers. The only but is that this collection, for example, sold only at a boutique in Dubai, very famous, called Symphony. 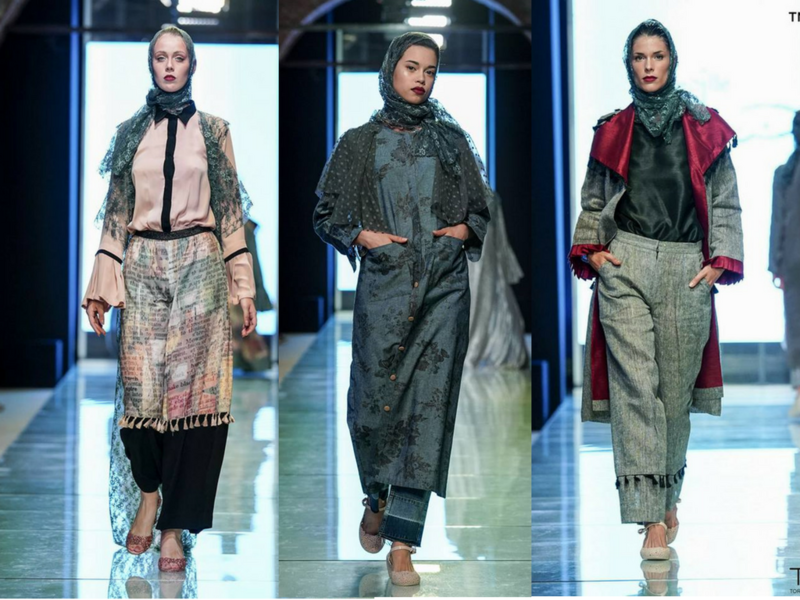 Designer Fatema Fardan also invites us to stroll through its particular flowery garden with a collection specifically designed for Ramadan this year. Inspired by the art and the fluidity of his watercolours, in this collection techniques of painting made by hand to print floral and geometric figures were used. Used tissues tend to be silk or silk crêpe. Very delicate and diaphanous fabrics that seem to float in the wind, giving life to a summer line of kaftans, suits and coats sophisticated but very wearable. The creative Hessa Alfalasi HF Boutique brand designer has created for the modern Saudis a collection inspired by the tradition with embroidered and geometric prints inspired Art Decó which provide a contemporary touch to the abaya. Some of these items also have been adorned with semi-precious stones to make all glamour. The palette has wanted to break with the familiar black combined with white and grey, leaving the monochrome colors for the most formal and elegant looks. Some of the major brands of the world of fashion and luxury, seeing the purchasing power to be handled in these countries, have begun to design collections capsule, for the moment, only sold at their flagships of the most important cities of the East as Donna Karan, Chanel, Burberry and Oscar de la Renta. 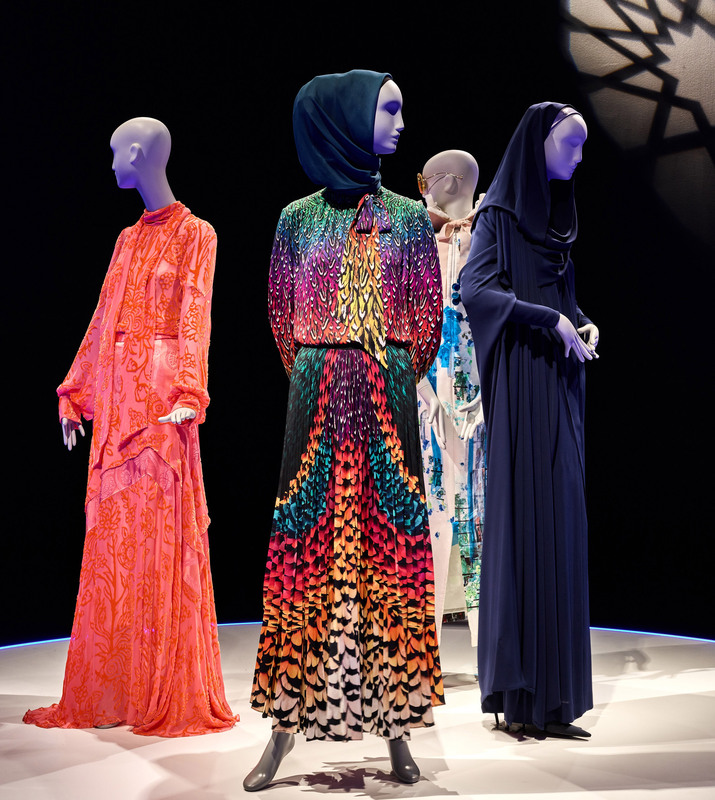 Just in time for the Islamic holy month of Muslims, signing Oscar de la Renta He has presented a wonderful collection capsule composed of exclusive kaftans to which more chic. Made with the best fabrics, these garments have been adorned with magnificent and complex embroidery, and it comes in a wide palette of colors, so that you have something for everyone: black streaked silver and gilded, blue set with real turquoise, coral, and even iridescent to feel like the very same Sherezade. Is there a low-cost Muslim? The low-cost option is provided through the Mipsterz which borrowed its name from a neologism that means half Muslim, half hipster, and that arose after a few young people branded video in November 2013 also practicing skate, with music by fonde of Jay Z, but still wear the veil, Naghmeh Kiumarsi or Poosh Fashion that have fun playing with finishes colors and drawings of traditional clothing promoting the individuality of their clients. 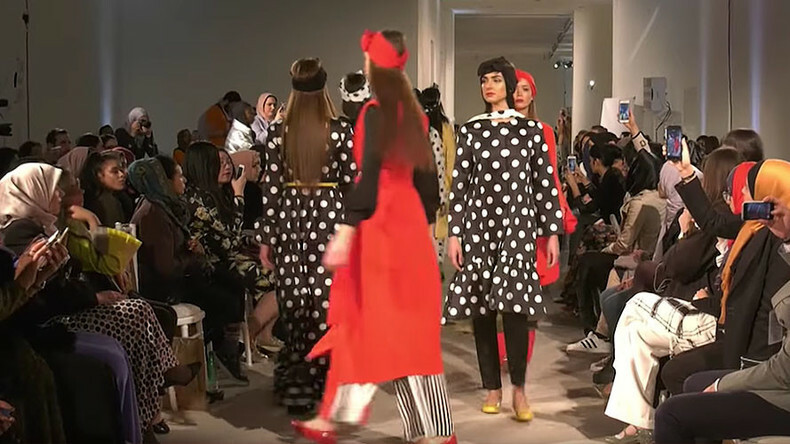 The designer Ibtihaj Muhammad, founder of the Louelia brand designed clothes and accessories that updates through prints and embellishments of trend but also repeat the Islamic modesty code. The brand carries only operating two seasons, but has already sold more than 4,000 garments, since tradition may also rhyme with trend. The latest to join this trend has been handle. Last week we received in writing his latest lookbook where also appeared three proposals face to Ramadan at popular prices. 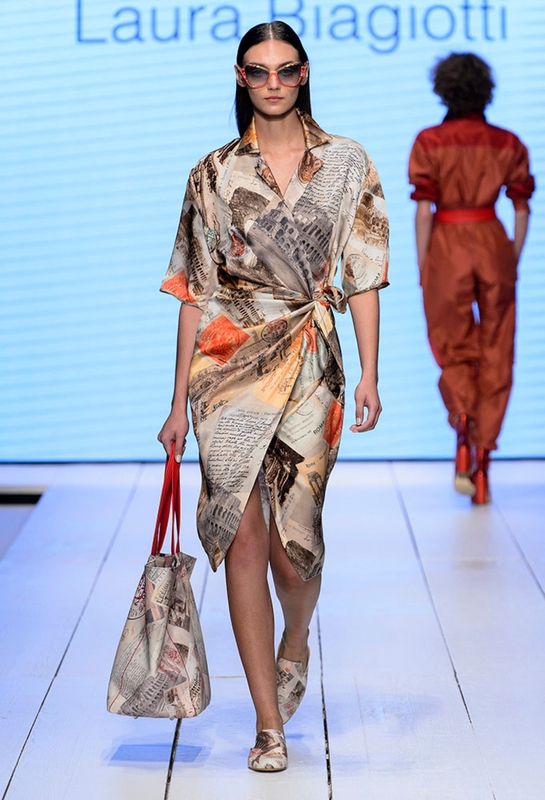 There is even a called wing fashion magazine to which the specialized press is referred to as the Vogue with veil. In this magazine you can see fashion editorials where models wear clothes of bright colours with modern cuts without losing his modesty, nor the values of Islam. The veil is not necessarily an imposition family. Curiously, they have been college girls that have gradually returned to introduce the fashion of the veil in their homes because, in many cases, has become a sign of cultural claim and a sign of female-claim connecting with the meaning oldest of hijab, which symbolizes who takes him is not a female object. But fashion from the East is not only in Dubai, in large luxury boutiques. The best example of this is the blogger Dina Toki-O, a young man of 25 years of origin Egyptian, but raised in London, which has become in just five years the symbol of all the hijabistas. I.e., of all Muslim women who wear veils and who feel real passion for fashion. After leaving his studies in design at the University because he wore a veil, and was not prepared to renounce the, Dina began to write a blog in 2011 to show the world that you can be fabulous and wearing a hijab. 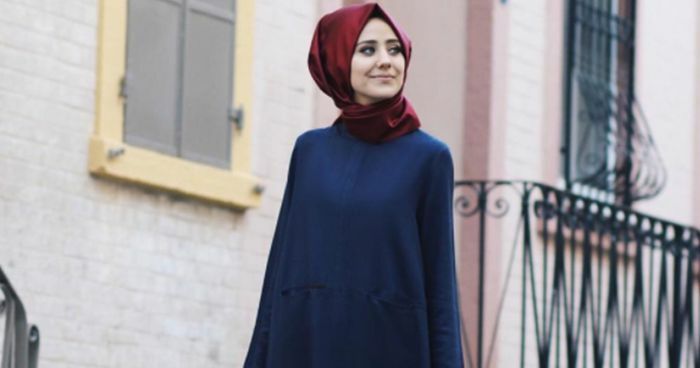 On his blog, with 170,000 followers, Dina explained through tutorials that record video and upload to YouTube to learn to tie a hijab style, but really has been through its own brand of Dolls Days – which combines urban style and respect for codes in the clothing of Muslims-, with which this designer has become very famous. So much that Instagram has already also 418.000 followers. So the question of whether there is a fashion industry in the countries of Islam, now already we can answer that Yes emphatically, do not you think?